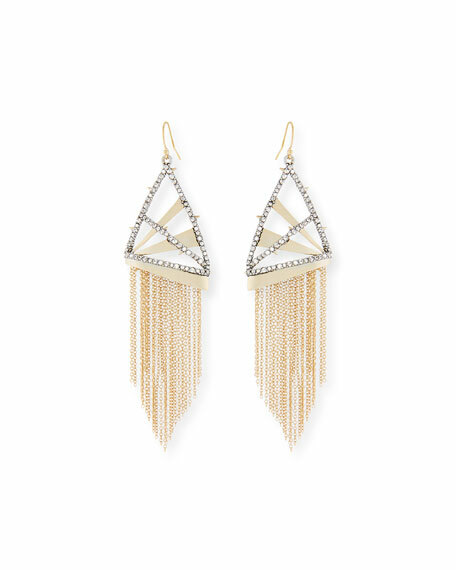 Chain fringe wire drop earrings by Alexis Bittar. Polished 10-karat gold plated brass hardware. Open plaid and crystal pavé triangle drops. Multi-strand rolo chains form fringe. For in-store inquiries, use sku #2544907.